The expanded detail presented by infrared imaging and analysis is beneficial not only in finding faults, but also in confirming that things are as they should be. Thus, a better, deeper, and more detailed inspection is possible. This increases the quality and usefulness of the information provided to our clients. Relevant infrared images are included in the report provided by RCI so the client can see for themselves. Simply stated: infrared energy is an indication of the amount of heat a material radiates. Infrared energy is invisible to the human eye. It has a longer wave length on the electromagnetic spectrum than visible light, and shorter wavelength than that of microwaves. Infrared energy is emitted by objects at differing intensities depending on the type of material and the amount of heat they possess and radiate. For example, a hot automotive engine emits a large amount of infrared energy, while an ice cube emits relatively small amounts. 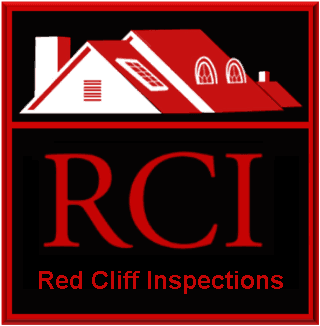 RCI's use of infrared imaging allows an analysis of structure, materials, and appliances in a in a unique way. It detects and measures the intensity of infrared energy and the patterns radiated from the object being imaged. Patterns are created by the differing levels of radiated energy (or heat). Stronger differences in apparent temperature cause a greater contrast in these patterns and may reveal hidden faults and unexpected detail . As a simple example: elements in an electric cooking appliance are designed to heat up evenly. The same is true of a natural gas burner. An infrared camera can clearly 'see' the heat energy present and provides a visible image on a screen. This image can then be captured by the inspector. The image will illustrate how that energy is distributed. A cold spot, or a spot that is intensely hotter, on an electric heating element may be an indication that it will soon fail. With infrared imaging the RCI inspector may determine if heat from a furnace, or cool from an air conditioning unit, is making it all the way through the ductwork to the register. The inspector can see if ductwork is leaking air and can detect if windows or doors are sealing out heat or cold. When the temperature conditions are right an inspector with an infrared camera may detect significant gaps in the layers of insulation of walls or attics, may see if there moisture hidden in walls or ceilings, and even potentially expose significant mold growth inside walls or ceilings. Some mistakenly believe that an infrared camera can 'see through walls'. Though it may seem so, that is not what is happening. Infrared imaging does not give an inspector x-ray vision or make them Superman. An infrared system detects and displays the energy radiated from the surface of an object. What is detected on that surface may be influenced by what is inside the object, or may be a reflection energy from remote source. Infrared imaging equipment does not emit radiation. It is safe to use and be around. It is passive and only detects the heat energy that is naturally present in the environment. What is seen with an infrared camera may be deceiving to an untrained eye. Sometimes an energy pattern displayed through the instrument may indicate a hot or cold spot. Such a pattern could indicate a problem such as an overheating electrical component or a wet spot. But, when more carefully examined, that pattern may be found to be a reflection of the energy produced by a visible light source, or cold air bouncing off a wall from a nearby air conditioning register. RCI inspectors are properly trained in the use of infrared imaging, and are able to properly interpret what is being presented by the infrared equipment. The inspector will validate what they see by viewing the whole environment, and will use other instruments (such as moisture meter), to confirm their analysis. Why Would You Have an Inspection Without Infrared? A simple automotive analogy might illustrate the difference between an inspection with infrared and one without. Consider and compare bumping along in a 1982 Toyota (with 315,000 miles, bad shocks, and no air-conditioning) to traveling in a 2015 Mercedes*. Both may be described as solid transportation, and both may get you where you are going. But, the experience is not really the same. One is able to provide so much more than the other. An inspection by RCI that includes infrared analysis is able to provide so much more for the client.